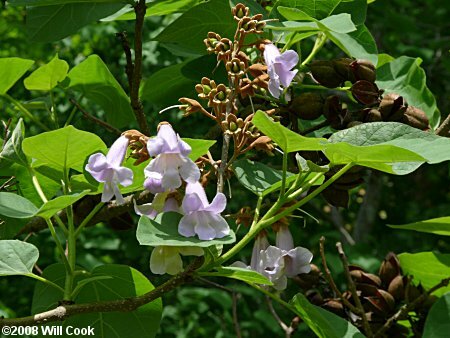 Princesstree, also known as Royal Paulownia, is a fairly common weedy small to medium tree from Asia. 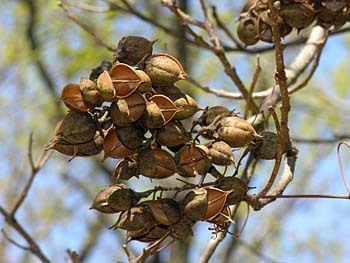 Abundant along roadsides, it sometimes also invades natural habitats. The purplish flowers are quite showy in early spring. 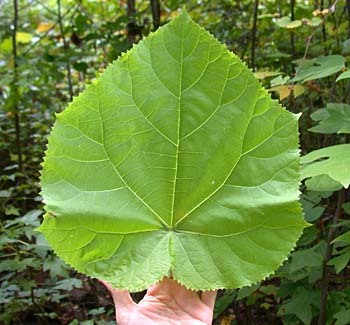 The huge, velvety, sticky leaves are unique. 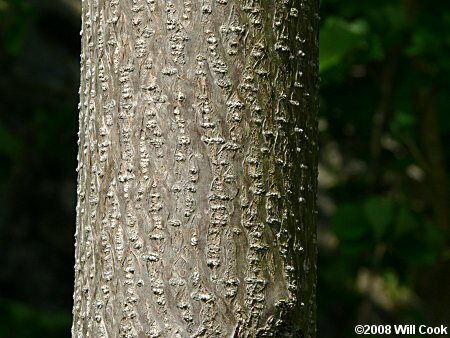 The light wood (kiri in Japanese) is used in Japan for making furniture, especially bridal chests. The trees are spectacular in bloom, brightening up the edges of interstate highways and other disturbed areas in late April and early May. 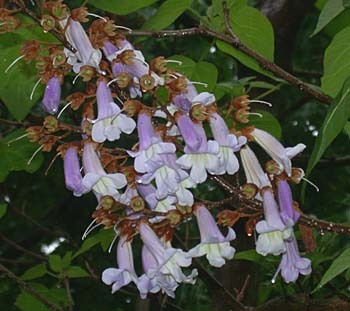 The flowers are strongly scented — sweet and musky with overtones of licorice and lilacs. 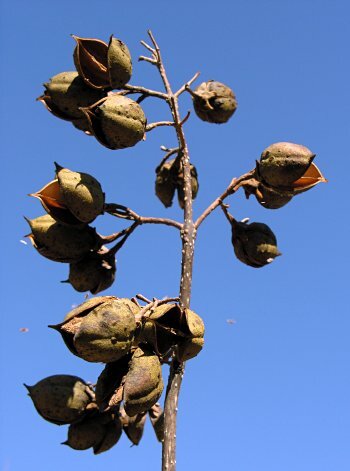 The dry capsules split open in winter, shedding thousands of tiny wind-dispersed seeds. You can see a couple of them falling in this photo. 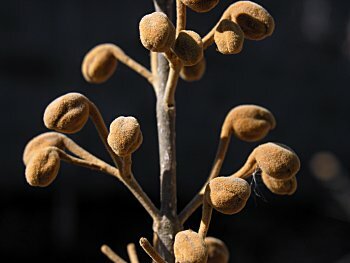 The capsules last into early spring. 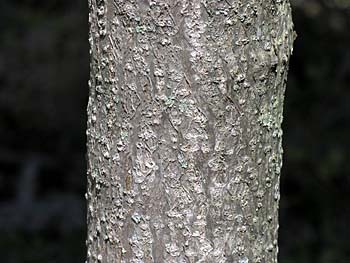 The bark is light gray with very shallow fissures and warty lenticels.